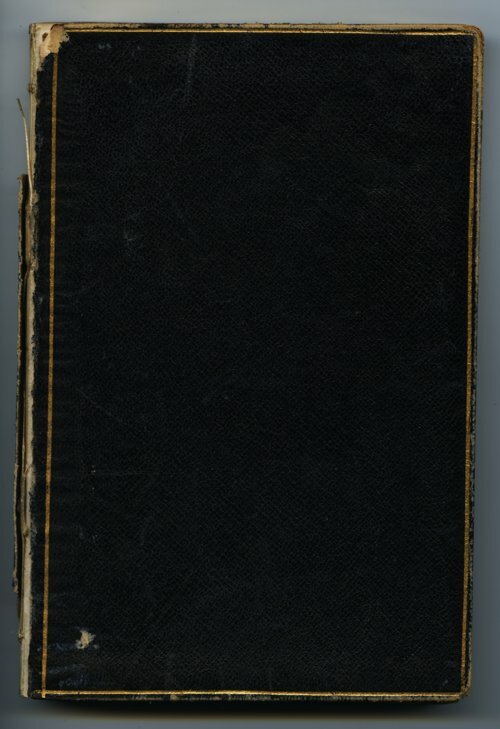 This is the fourth diary in Abzuga (Zu) Adams' papers from November 19, 1908 to October 9, 1910. It contains family, domestic and work news with several entries about building the Memorial building in Topeka, Kansas. Zu Adams was born in Atchison, Kansas, in 1859, and named after for her father's mother who also went by the nickname Zu. As a child, she lived in various Kansas towns including Waterville, Wichita, and Topeka. In 1876, when Zu was seventeen, her father became Secretary of the Kansas Historical Society where she worked as his unpaid assistant. Later she was given a salary and the title of librarian. At the time of her father's death in 1899, Zu and her late Father had hoped she would succeed him as secretary but when George Martin emerged as a candidate, Zu withdrew her candidacy. She worked as Martin's assistant until her death in 1911. From her experience as a secretary, the diary contains sections of short hand unique to Zu and are left to interpretation by the reader. Zu never married, remaining in the family home and raising her younger brothers and sisters and Helen who she adopted in 1896.